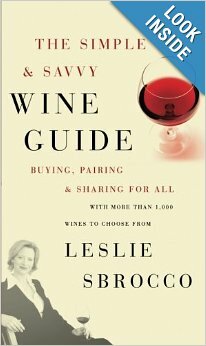 Sbrocco’s first book, Wine for Women: A Guide to Buying, Pairing and Sharing Wine (William Morrow), has been excerpted by two national magazines — Redbook and Family Circle — and won the coveted Georges Duboeuf Best Wine Book of the Year award. Her second book, The Simple & Savvy Wine Guide, (William Morrow) was released to wide acclaim and she is currently at work on her third book, Adventures of a Thirsty Girl. 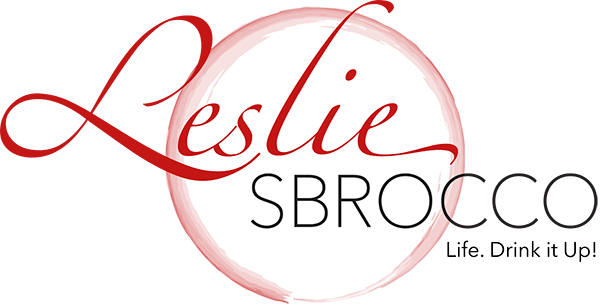 n award-­winning author, speaker, consultant, and television host, Leslie Sbrocco is known for her entertaining approach to wine and food, as well as inspiring others to live a life of passion. Voted as one of the Top 100 most influential people in the American wine business, Sbrocco’s engaging personality, humor, and ability to connect with the audience – whether on screen or on stage – are her trademarks. 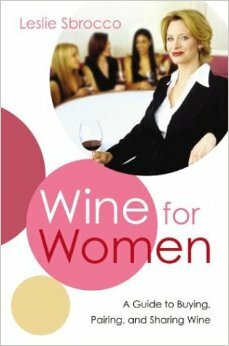 Sbrocco’s first book, Wine for Women: A Guide to Buying, Pairing and Sharing Wine (William Morrow), has been excerpted by two national magazines, Redbook and Family Circle, and won the coveted Georges Duboeuf Best Wine Book of the Year award. Her second book, The Simple & Savvy Wine Guide (William Morrow), was released to wide acclaim, and she is currently at work on two new books entitled 100 Days…100 Drinks, Dishes & Destinations and Drinking for a Living: How One Woman Created Her Dream Job and So Can YOU. As host of the PBS restaurant review series Check Please! Sbrocco has won a coveted James Beard award, three Taste Awards, and three Emmy awards in the span of 10 seasons on air. Sbrocco was a featured judge on the PBS national series, The Winemakers, and created wine content for the hit TBS show, Cougartown. She appears frequently on national television outlets including CNN, The Hallmark Channel’s Better TV, QVC, and is a regular guest on NBC’s Today Show. Her work has been published in outlets such as People Style Watch magazine, Epicurious.com, O the Oprah magazine, Coastal Living, Woman’s Day, Health, Good Housekeeping and Glamour among others. Prior to completing Wine for Women, Leslie was a columnist for The New York Times online and General Manager of WineToday.com, a site of The New York Times Company. She is also the founder of the multi-­media company, Thirsty Girl LLC. Through her social media, print, online outlets and television appearances, Leslie reaches millions of consumers. Sbrocco is one of the country’s most sought-­after wine speakers and an emerging talent speaking to groups on how to turn their passions into their careers. She has showcased her energetic style at hundreds of events including O Magazine's Hi Gorgeous tour with Oprah Winfrey, and the Women of the Vine, and Women in Insurance Leadership Symposiums. Her portfolio of corporate clients lists Liberty Mutual Insurance, The Wall Street Journal, Mercer, Cisco Systems, RedPrairie, and AON to name a few. Within the culinary industry, Sbrocco has appeared on stage with a roster of celebrity chefs including Marcus Samuelsson, Carla Hall, and Jacques Pépin. She has been keynote speaker at high-­profile events including Food and Wine Magazine’s Aspen Classic, the Boston Wine Expo, Pinot Noir New Zealand, Newport Mansions Wine & Food Festival, the Boardwalk Wine Promenade, Tulalip Resort’s Taste of Tulalip, and SF Chefs. Leslie has built programs for and consulted with companies such as Target, Harry & David, and Kimpton Hotels. Her educational and event clients include The Atlantic City Alliance, Wines from Spain, Trentino Wines, G7 Wines of Portugal, Crystal Cruises, and Holland America Cruise Lines. Sbrocco is member of the philanthropic society Les Dames d’Escoffier and a respected judge at global wine competitions including the Concours Mondial, The Argentina Wine Awards, Sunset Magazine’s International Wine Competition, Critics Challenge, and the San Francisco International Wine & Spirits Competition. This book is currently only available directly from the office. Email General Inquiries to order your signed copy!